Tomatoes are a favorite among gardeners because they are easy to grow, produce a high yield of fruit, and are a healthy addition to many recipes. Each part of the tomato plant performs duties that are essential to the health and well-being of the plant. Knowing how each part of the tomato plant functions is helpful when trying to diagnose problems that are harming your crops. The roots of the tomato plant take water and nutrients in from the soil and they act as an anchor for the plant. There are two kinds of root systems, taproot and fibrous. The tomato plant can have either depending on how the plant is grown. If the plant came from a seed it will have a taproot system, if it was grown from root cuttings, it has a fibrous root system. 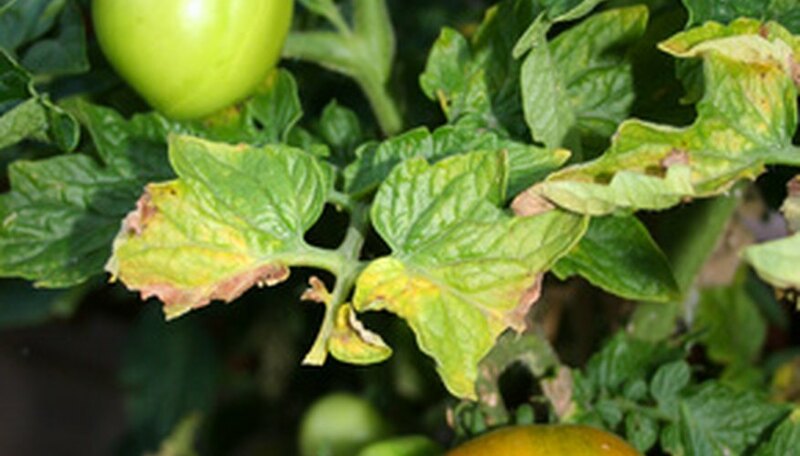 Tomato plants are susceptible to root rot if they are planted in poorly drained soil and are over watered. Tomatoes are herbaceous plants, they have non-woody stems that die at the end of the growing season. The stems of the tomato plant perform several duties. Stems move the water and minerals from the roots to the shoots and leaves and other parts of the tomato plant. They take food back down to the roots so that it can be stored for use when the plant needs it. Tomato plant stems support and elevate the flowers, leaves and fruits of the plant and keep the leaves in the sunlight. Stems store nutrients and produce new living plant tissue. The leaf of the tomato plant makes food through photosynthesis. The leaf has two parts, the petiole and the blade. The petiole of the leaf is the thin stalk that holds the leaf away from the stem. The petiole is attached to the stem by a node. The blade is the flat part of the leaf that grows from the end of the petiole. Leaf blades contain the veins that carry water and food to all parts of the plant. Tomato plants have compound leaves with lobed edges and are light green in color. Flowers are responsible for the sexual reproduction of the plant. The flower of the tomato plant is yellow in color and is scented to attract pollinators. Bees and birds and other insects will spread the pollen from one plant to another. Flowers play a large part in plant identification as they are the least affected by environmental changes. Tomato plant flowers are made up of a stamen, the male part; or a pistil, the female part as well as sepals, nectar glands, and petals. The tomato is often thought to be a vegetable but it contains seeds, which in the world of botany, makes it a fruit. It is actually considered a berry and has all of the characteristics of berries.The fruit develops from the ovary of the flower, it's fleshy and each tomato contains seeds.